Saving money in piggy bank. 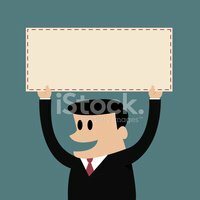 Happy businessman holds a sign with FRIDAY text. Colorful abstract background with space for text. businessman holding a bag of money from the bank.